(FinalCall.com) – During an August ceremony in Tripoli, the Western-backed National Transitional Council that undermined, overthrew and assassinated Libya’s Muammar Gadhafi handed power over to a 200-member General National Congress elected in July. While some praise the election and transition as a glimmer of hope for democracy, critics say Libya is far from stable and still steeped in chaos, bloodshed and acute tribalism since the downfall of former leader Gadhafi. “Elections are sometimes signs of hope. By themselves, elections don’t mean very much and I don’t think this one will mean very much,” opined Phyllis Bennis, director of the New Internationalism Project at the Institute for Policy Studies in Washington, D.C. The U.S.-NATO led invasion of Libya destroyed the government and infrastructure of the People’s Jamahiriya, which had played a leading role in developing the African continent. Col. Muammar Gadhafi, assassinated during the invasion, opened Libya’s borders to workers from other African nations to benefit from the country’s oil wealth. He was planning the introduction of an African currency to rival the Euro and the dollar, and a continental African army. 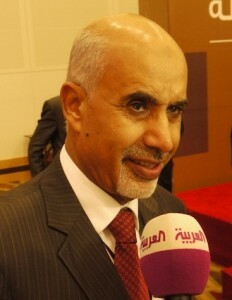 Outgoing NTC Chairman Mustafa Abdel Jalil formally handed the state reins to the GNC calling it the “sole legitimate representative” of the Libyan people. The congress is charged with choosing a prime minister, a cabinet and by next year drafting a new constitution. Following agreement on a new constitution, general elections for parliament and president will be held. It remains “unclear” what the congress means for the Libyan people and to what degree the candidates who ran for the seats truly represent the population, said Ms. Bennis. She noted that a high percentage of Libyans didn’t participate in the elections. Some regional powers from eastern Libya, mainly Benghazi, Brega and Ras Lanouf, held back in the election claiming under-representation in Tripoli. The majority of Libyans are concerned with the lack of security, jobs, and economic possibilities. In some areas, a lack of food, health care and electrical power remain huge challenges. Whether the will exists to answer those needs, “it’s way too soon to say,” Ms. Bennis added. What’s more there are misgivings about whether the new government will work in Libya’s favor or as a proxy for foreign interests, considering the decisive role U.S. and NATO forces played in deposing the previous government. “Now the top leadership represents those that were exiled in America,” observed A. Akbar Muhammad, the International Representative of the Nation of Islam. Many of the transitional actors have similar ties to America and Europe which raises credibility questions. If they were exiled in Algeria, Morocco or Egypt then it “would not raise the specter of suspicion about their overall objective,” he added. Mr. Muhammad was referring to the first major decision by the congress in choosing longtime Gadhafi opponent Mohamed Yousef el-Magariaf as its president—making him the interim head of state. Mr. Magariaf is a politician and former ambassador to India who spent nearly 30 years exiled in America. He led the National Front for the Salvation of Libya that was purportedly financed by the U.S. Central Intelligence Agency and Saudi Arabia and responsible for several failed attempts to oust Col. Gadhafi over the years. “There is no doubt that there is a strong Western influence on the political process in Libya,” said Lamis Andoni, a commentator on Middle East affairs, answering a Final Call inquiry from Amman, Jordan. “Some Libyan expatriates who are involved, either in the council or the assembly, don’t see a problem with Western influence,” she said. According to an August 13 Gallup Opinion Brief on U.S. Foreign Policy, since Col. Gadhafi fell the U.S. State Department and U.S. Agency for International Development have begun providing support for Libya’s transition on a small scale. “However, U.S. officials have largely not made public what specific actions the government plans to take to further aid Libyan security,” the brief said in part. Some observers maintain the aim was to install an amiable puppet regime and raid precious land commodities. “As the world knows that the oil and the water are prized possessions for certain entities in the Western World,” said Mr. Muhammad. Conducting his first meeting of the assembly on Aug. 10, Mr. Magariaf said that Libya must have a government inclusive of the various groups involved in its change. “Definitely, it will be a constitutional civil democratic state, no doubt about this,” he told reporters, answering a question on Libya’s destiny. But the government in Tripoli doesn’t control most of the country. The central government is still being established amid tribal violence and bedlam caused by what analysts call the West’s reckless disregard of Libyan “social and cultural nuances” during the invasion. The effect is a problem of armed autonomous groups not aligned with the central government and who refuse to lay their weapons down. “Militias that are roaming the countryside and the other cities have very directly and clearly asserted that they are not accountable to the government,” Ms. Bennis told The Final Call. Both Amnesty International and Human Rights Watch criticized the NTC for not investigating allegations that some of the 7,000 prisoners held in official and semi-official detention facilities under the control of armed militias have been beaten and tortured. Meanwhile unrelenting disputes in recent weeks brought suspected targeted killings of defected Gadhafi military leaders. The day following the power transfer, Mohamed Hadia al-Feitouri, an army general under Col. Gadhafi, was executed leaving a Benghazi mosque after Friday prayers when gunmen opened fire from a vehicle. General Feitouri was one of the first military heads to defect during the insurgency last year. Reuters reported days before former military intelligence Colonel Suleiman Bouzrida was shot in the head twice while walking to a mosque for early morning prayers. He also defected to the rebel side in the early stages of the coup. 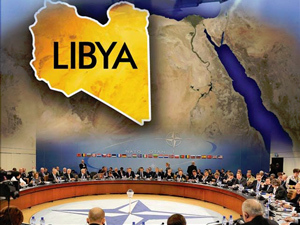 A week prior an explosion rattled the Libyan military intelligence in Benghazi without casualties. During his handover speech, Mr. Jalil admitted the NTC’s failure to solidify the nation and the military. “The army and the entire state apparatus collapsed despite our determination to protect citizens and integrate former rebels to the army,” he said. In addition to consolidating the military, the incoming rulers face weighty human rights violations in the persecution and murder of dark skinned Libyans and African migrant workers in the post-Gadhafi aftermath. They must also determine the fate of former Gadhafi era leaders now jailed, exiled or on trial. Most prominently on that list is exiled former Foreign Minister Musa Kusa and imprisoned former Prime Minister Al-Baghdadi al-Mahmoudi, intelligence chief Abdallah al-Sanusi and Seif al-Islam Gadhafi, the son of the revolutionary leader. Experts say how the new leadership handles these issues will be indicators of their commitment to due process and democracy. The future remains uncertain and the new Libya appears to be worse than what the old Libya was only accused of being by its foes. After betrayal, regime change and assassination, what’s left is confusion, chaos, mayhem, and unfettered access to the natural wealth. “We have to remember that political trends in Libya are emerging and we should expect to see a continuing transformation marred by an ongoing power struggle—influenced by different external Arab and Western players,” said Ms. Adoni.